The introduction of a 25p tariff on disposable cups at the County Hall café is saving approximately 1,600 cups every month. 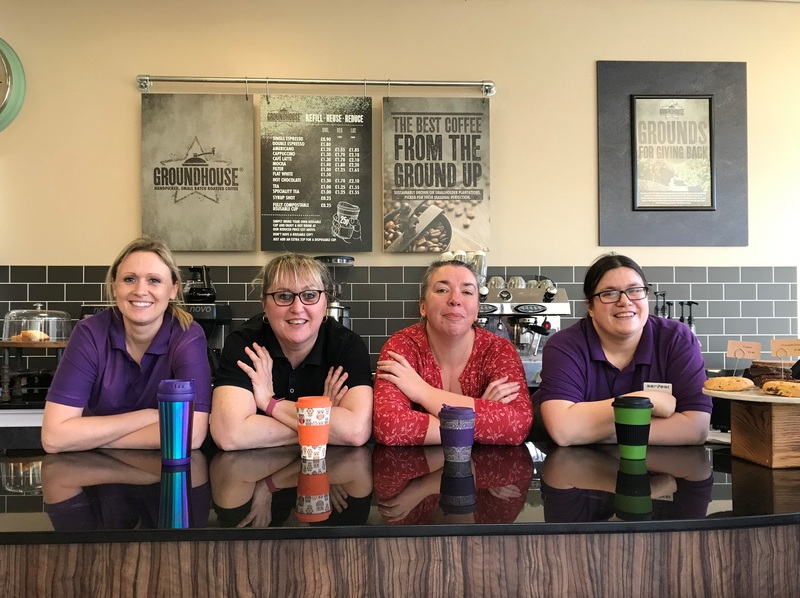 Since introducing the tariff and also switching to compostable disposable cups last spring, the café, run by Servest, has saved around 14,400 disposable coffee cups from entering the bin. End to end the unused coffee cups would be as high as the Burj Khalifa, The Shard and the Eiffel Tower combined. Councillor Tony Miller, Cabinet Member with Responsibility for the Environment at Worcestershire County Council said, "It is really encouraging to see the staff and visitors to County Hall embracing ways to reduce waste in the county. "Last year we introduced the Plastic Pledge certificates to recognise businesses and people in Worcestershire doing their bit to reduce single use plastics, it's great to see that County Hall is leading by example and reducing their waste. "It just goes to show what a huge difference, small changes can make!" Servest stopped providing plastic packaging for all food and drink made on the County Hall campus in spring 2018, replacing the packaging with compostable plant based products. Staff and visitors are increasingly opting to use their own re-useable cup or using a ceramic coffee cup when sitting in the café. Worcestershire County Council introduced a Plastic Pledge scheme to recognise local businesses and people within their local communities who have committed to reducing their single use plastics.